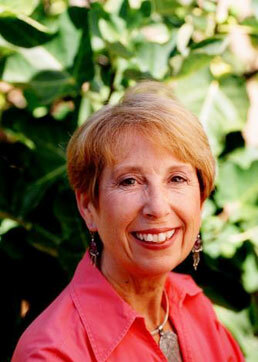 CULINARY HISTORIANS: Chef/Author Kitty Morse to present "A Taste of the Kasbah"
Kitty Morse, noted Moroccan chef, teacher and author, at 10:30 am, Saturday, January 18, in the 9th floor Special Event Suite at the San Diego Central Library, 330 Park Boulevard, San Diego, CA 92101. Ms. Morse was born in Casablanca, Morocco, of a French mother and British father and emigrated to the U.S. at 17. While studying for her Master’s Degree at the University of Wisconsin-Milwaukee, she catered Moroccan diffas, or banquets, and went on to teach the intricacies of Moroccan cuisine in cooking schools nationwide. In 2002, she conducted a Culinary Concert on Moroccan culture and cuisine hosted by Julia Child, as a benefit for the Harry Bell Foundation of the International Association of Culinary Professionals. A featured radio and television guest and presenter, she speaks throughout the country and has given seminars on North African cuisine and culture at the Smithsonian Institution. Morse is the author of a memoir and nine cookbooks, the latest of which is Mint Tea and Minarets: a Memoir of Morocco with Recipes.